Q: My husband died suddenly a month ago and we are reeling from his death. How can i help my kids, ages 4 and 6, cope with the loss of their father? It’s not unusual for young children to become clingy with the remaining parent. Know that this is to be expected but will pass in time. Sleep may also become disrupted. I am a big believer in bibliotherapy, the use of stories to help children process difficult concepts. There are many good books for young children on death. One I particularly like is Healing the Hurt, Restoring the Hope by Suzy Yael Marta. It’s the best book I know for parents to help children deal with loss. 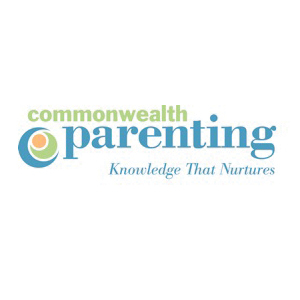 If at some point you feel the need for professional support, we at Commonwealth Parenting or your pediatrician can give you a list of names. Don’t feel like you need to go it alone. Q: My son turned two a few weeks ago and has become a real handful! He doesn’t seem to listen and is having more tantrums than usual. Do you believe in the terrible twos? A: This is what I call the intersection of the terrible twos and winter! Boys of this age do best with lots of fresh air and physical activity. Twos are by nature oppositional as they test and celebrate independence. They are also working on control of their bodies and using new-found motor skills. As the colder months arrive, twos typically get less outdoor play time. Little boys hold their tension in their bodies and need large motor play to blow off steam. The answer is to get your little guy out as much as possible, as often as possible. When I taught two-yearolds in preschool, I made sure that my little ones got out some part of every day we could. We would bundle up and go for it, if for only ten minutes. On days that we were able to get outside, our class functioned much better. If going outdoors is just not possible, try to find other opportunities for large motor activities. If your son gets his wiggle-worms out, he should be more cooperative and less easily frustrated. A by-product of all this large motor play is better sleeper. Trust me on this one!